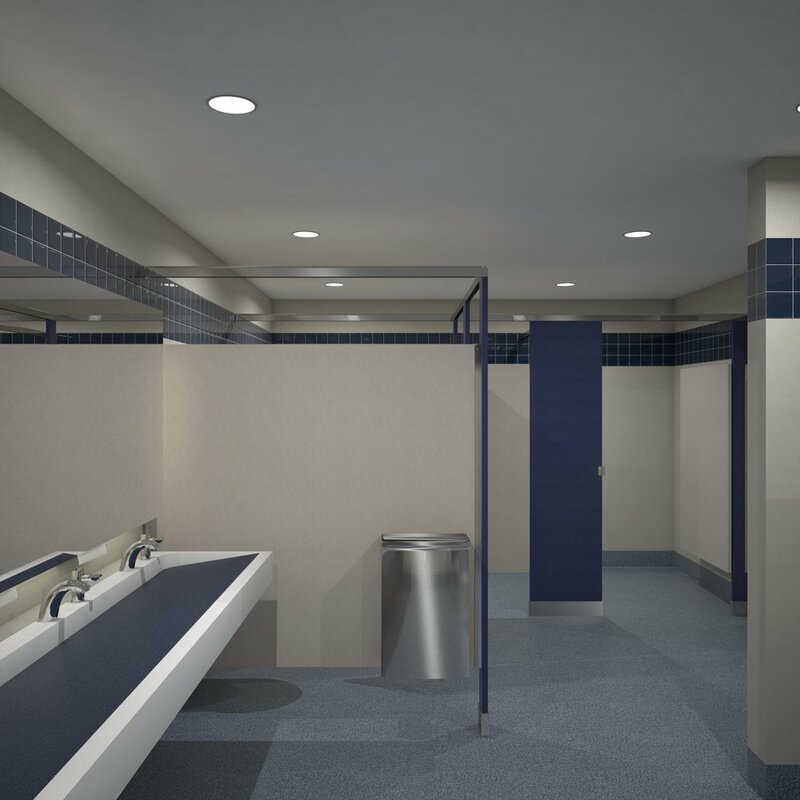 Perched on a hilltop in Palos Verdes Peninsula, California, Chadwick School turned to UNILAV Design to transform the 20 year old restrooms and shower rooms that were in desperate need of an overhaul. The challenge: Create a design that was ADA compliant, Easy to maintain, Functional, Durable and Beautiful. Something to mirror the polished image of this prestigious private education facility but could also effortlessly withstand constant high-energy athletic traffic…and complete it during spring break. Energy and Water conservation and ADA compliance were high on the list so we specified High-efficiency LED lighting and touchless Toto Brand Eco-Power faucets and flush valves. 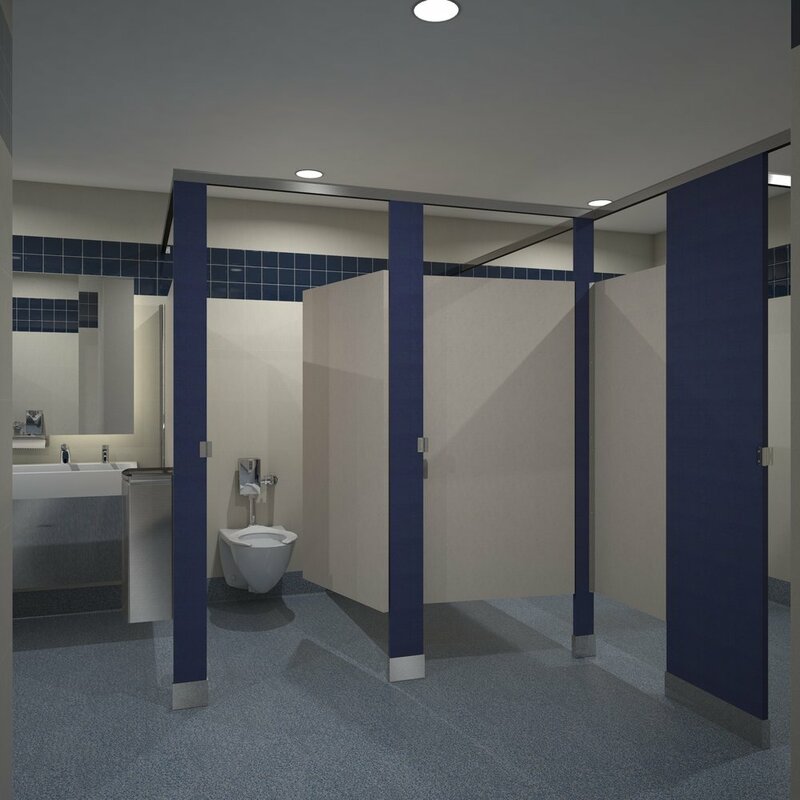 For durability without sacrificing beauty or ease of maintenance, we selected an extremely durable Poly Aspartic Epoxy Floor system with seamless molded cove base, Corian lavatory troughs and Solid PVC Toilet Stall Partitions. We converted the existing floor mounted toilets to wall mounted and installed floating mirrors with LED accent lighting and concealed, behind-the-mirror towel dispensers. A central reservoir soap dispensing manifold allows up to six dispensers to draw from one large under lavatory container that is easily refilled from above.